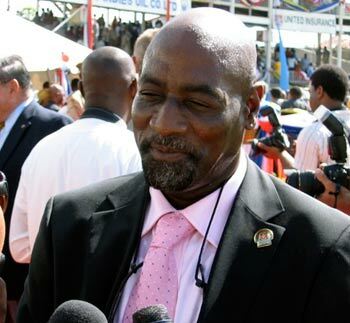 Viv Richards was a towering figure within cricket. He epitomised the cavalier approach of the dominant West Indies team of the 1980s. He combined power with elegance. On his day he provided an imperious presence at the crease, effortlessly dispatching bowlers to all parts of the ground. He was also an excellent captain, cleverly using his fast bowling attack which ripped through batting lines in the 1980s. He was born in Antigua and came to play for Somerset at the age of 21. He was sacked by Somerset in 1986, causing his friend Ian Botham to resign from Somerset. He finished his test career with over 8,000 runs at an average of 50. Placing him amongst the leading test averages. He scored over 100 centuries in first-class cricket. In 1975, he led the West Indies to victory in the inaugural World Cup. An achievement he later reflected was the best moment of his career. In the 1979 World Cup, Richards scored a century as the West Indies won their second consecutive title. In the Wisden cricketers of the Century, he finished second behind Donald Bradman. After retiring he has contributed to BBC Test match special. Sports people – Famous sportsmen/women. Including football, athletics, tennis, rugby, cricket, boxing. A list of 100 sports stars, such as Muhammad Ali, Serena Williams, Pele and Usain Bolt.